VOTED BEST PIZZA IN JACKSON HOLE SINCE 2011! Locally voted BEST PIZZA IN JACKSON HOLE SINCE 2011! Thank you Jackson Hole for your loyalty and love of pizza! 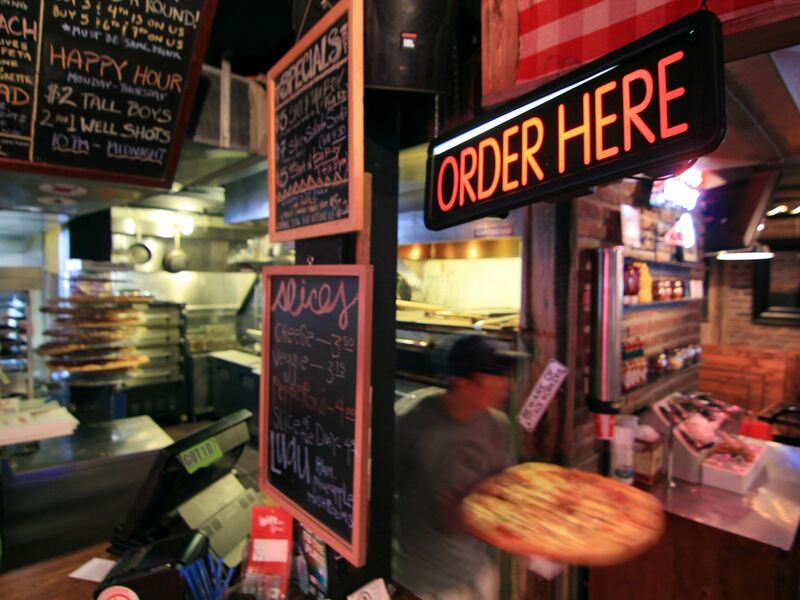 We strive to bring the best pizza to Jackson Hole each year and want to keep you coming back. We serve our whole menu until 10PM, whole pies and slices until 11PM and slices after 11PM. 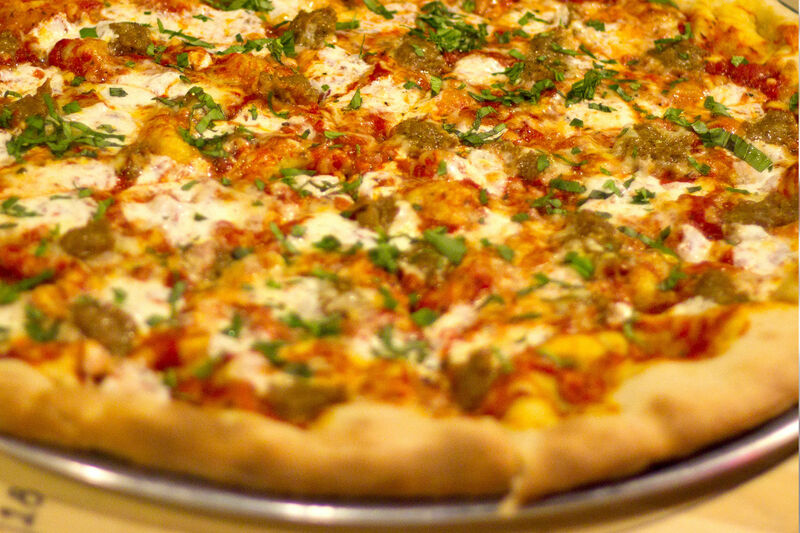 We welcome you to Jackson Hole’s favorite pizzeria voted by Jackson Hole Locals! Come by for great food, good people, music, sports, cocktails or for just a break from the daily grind! Located just West of the Town Square in the Pink Garter Plaza, Pinky G’s Pizzeria is certain to have something on the menu that you will love! 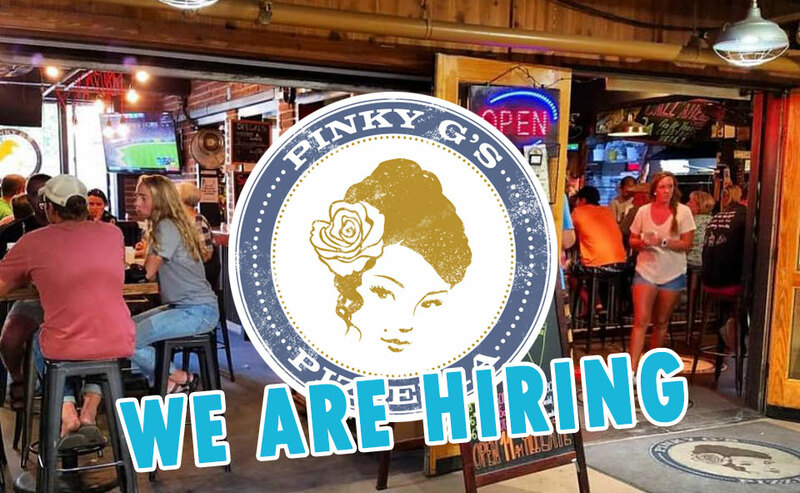 Stay informed with upcoming events and weekly specials at both Pinky G’s Pizzeria and also check in for concerts and events upstairs at the Pink Garter Theater! 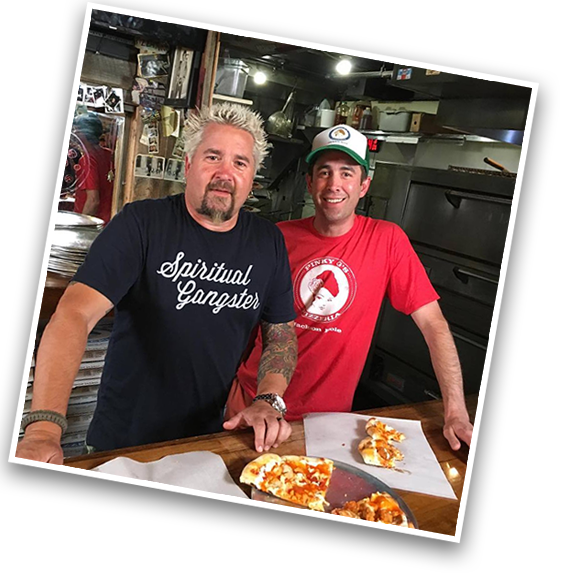 In 2014 Pinky G’s was featured on Diner’s, Drive-In’s & Dives on their tour through Jackson Hole. Busy shopping around the town square? 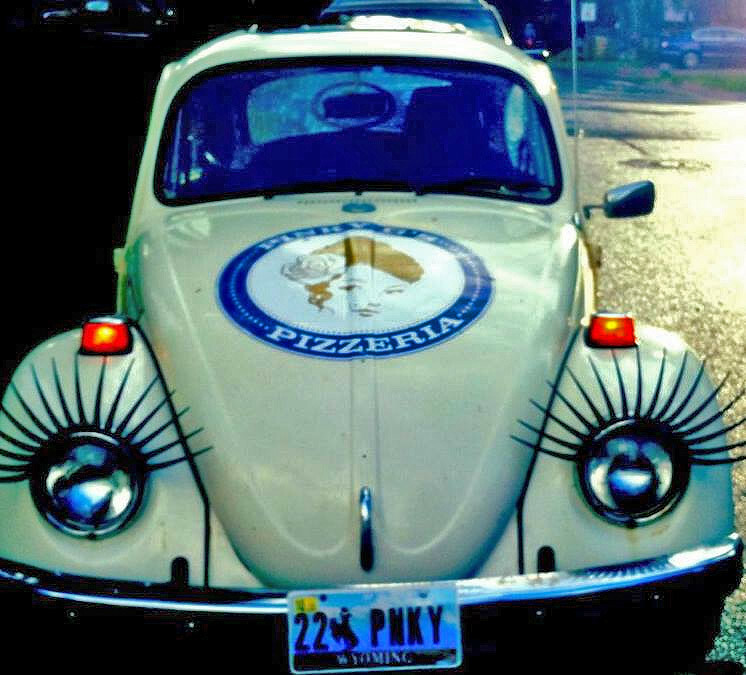 Stop in for a slice of pizza and beer or even make reservations for a company party or birthday! Regardless of the reason, Pinky G’s Pizzeria is here to serve. 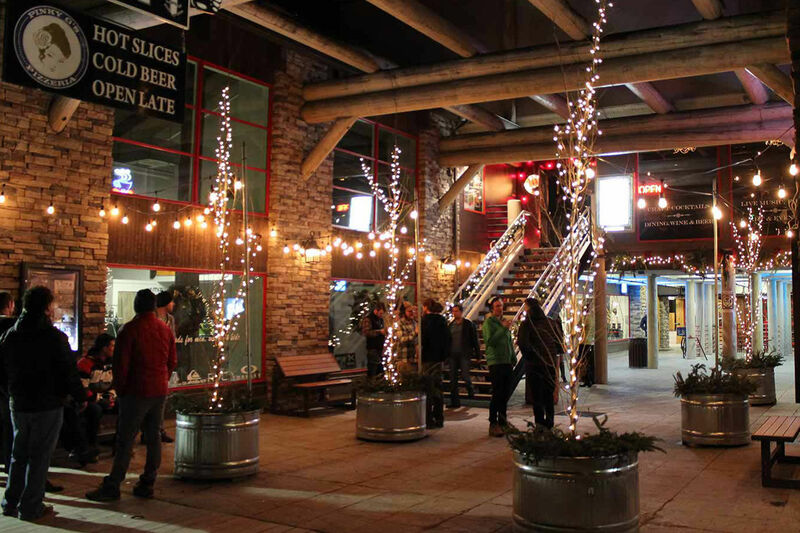 We are a fun and casual dining experience that Jackson Hole locals and visitors have come to love and return to for more mouthwatering pizza, tasty chicken wings, and delicious salads through the years. You can get hot slices at many local events and fundraisers from our pizza truck and booths. Stop by and say hello! Stuck at home or at work? We Deliver within the Jackson city limits from 5PM-10PM daily!! 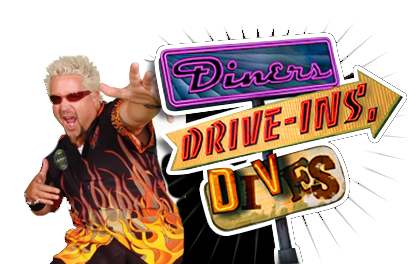 Check out Pinky G's on Diner's, Drive-In's & Dives! Pinky G's is very honored and grateful to have been graced with a return visit by Food Network's favorite on-the-road chef, Guy Fieiri and Diner's, Drive-In's & Dives! Be sure to watch for it on the Food Network. To watch the original episode please click below. "THE PIZZA IS OVER THE TOP"